Remember to the days of Napster. … And Limewire, and KaZaA, and Morpheus, and the likes? Don’t be confused; it was NOT technology that triggered this business trigger. It was the cultural shift that led people to believe that stealing music does not actually qualify as unlawful stealing. In fact, we didn’t even call it stealing, we called it “downloading.” Downloading entire albums, sometimes before an artist had even released them. What else can trigger industry crisis besides trigger #1 A Change in Competition and trigger #2 A Change in Technology? A change in culture is business trigger number three. Most of us would never walk into a music store (if you’re old enough to remember those), stick a CD up our shirt and walk out without paying. But there were a few years when the culture essentially made it OK to do that online. It was a cultural shift where millions of people were stealing music, but they decided it wasn’t stealing because they believed they deserved it. Why did they think they deserved it? Because of the culture that assumes information is free. We forgot that this information — original music — was created by artists who spent lifetimes trying to come up with that one, or two, or five hits, so that they could make a living performing their heart out every night. The culture changed and an industry was decimated. In 1999, the music business did $38.6 billion in sales. That same year Napster was founded. From the peak of about forty billion in 1999, the music industry plummeted 58% down to $16 billion the following year. Think about that. That’s nearly a 60% drop in revenue practically overnight. It was like the black plague and all it took was a shift in consumer culture. On the flip side, consider how Apple harnessed the culture of shrinking attention spans and downloading hysteria to create something wildly popular (not to mention profitable). Steve Jobs, in his infinite wisdom, reasoned that since people were stealing entire libraries of music and no one was buying CDs anymore, so why not sell single songs for a single price. Surely short attention spans would appreciate the simplicity of 99 cents per song. Traditional music sales reached their peak in 2000. At that time, Americans were buying 943 million compact discs annually while digital sales weren’t even on the cultural map. 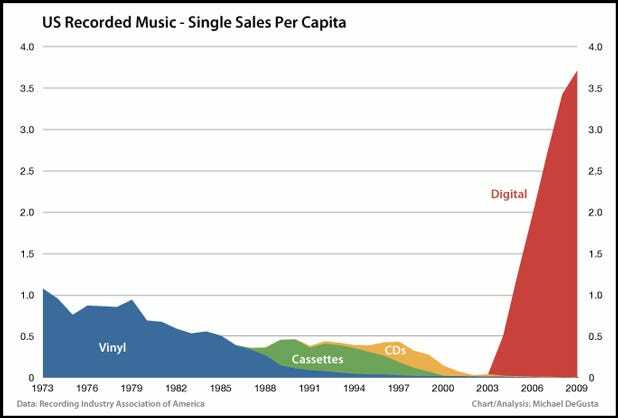 But by 2007, the sale of those cheap little digital singles overtook CDs in a landslide, generating 819 million sales (some 300 million MORE than the CD)!! When the culture demanded a cheap, easy, fast way to get music, Apple had the ingenuity to answer the call and became the number one music retailer in the world. All because they monitored critical shifts in cultural behavior and added more value smarter and faster than anyone else who was trying to fulfill that want. Less than 10 years after Apple deployed its iTunes Music Store, it surpassed 25 billion songs sold. They didn’t just trigger crisis in an industry, they changed the way the world consumes music, books, and in-pocket entertainment. 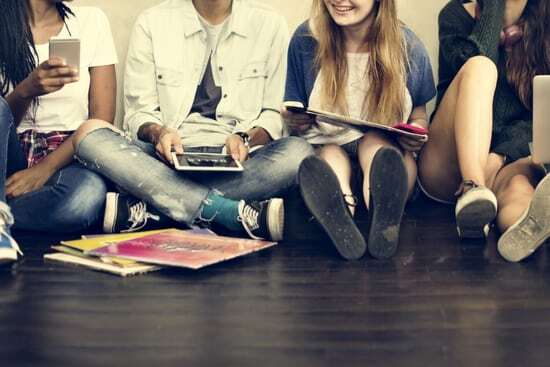 And the changes kept happening — just look at how streaming services like Apple Music, Spotify, Pandora, Amazon Music, Google Play Music, Tidal and even YouTube Music have shifted the culture of listening to music again. Business leaders must ask themselves: What behaviors are trending? What cultural shifts are afoot? What are the belief systems that can be ascribed to those trends and how can they affect the business of you and me? What cultural shifts can you use to your advantage today?